Santas On The Run! Get in to the festive spirit AND help raise money for a fabulous charity! 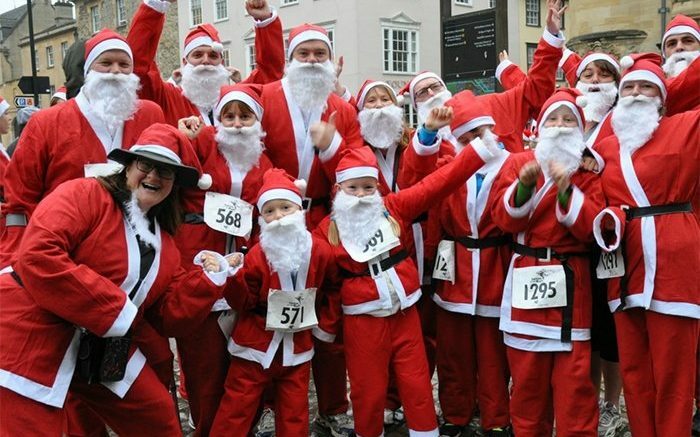 Take part in one of the biggest Santa runs on 10th December to raise money for local terminally ill children, young adults and their families. Your participation in Santas On The Run will make a real difference to Helen & Douglas House – Where they care for terminally ill children, young adults and their families through exceptional hospice care. Every penny counts! It costs over £5 million a year to run the two hospice houses and provide outreach nursing service, Helen & Douglas House cannot do this without your help! Helen & Douglas House provide medical, emotional and practical support helping families deal with the implications of living with a child who will die prematurely, so they can make the most of their time together. 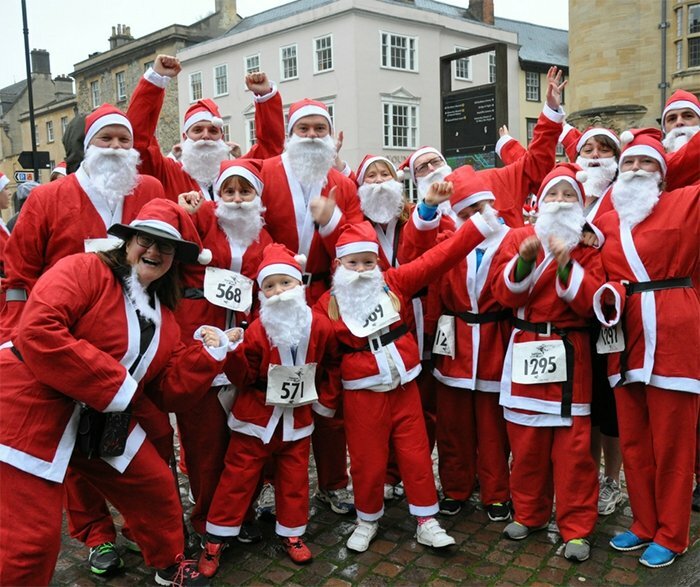 Santas On The Run – Run, walk or jog 3.5km through the centre of Oxford. The event will start on Broad Street in the heart of the city. From here you will make your way to University Parks, which looks enchanting on a crisp winter’s morning! You will then wind your way through the Oxford colleges and back on to Broad Street where you will be greeted with mince pies and lots of festive cheer! This warm and friendly event is great for the whole family or as a festive team event for colleagues and friends. It is a brilliant way to kick-off Christmas! Get your fundraising packs and posters here. Want to be a sponsor for the event? Sponsorship packages range in price so why not call on 01865 799166 or email at events@helenanddouglas.org.uk and see what they can do for your business.